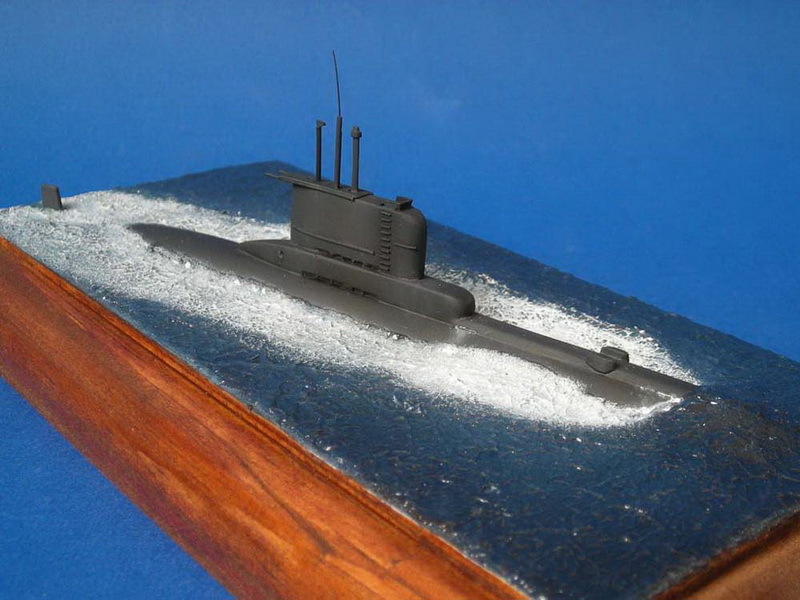 El ARA San Luis, submarino clase 209 de la Armada Argentina, cumplió con una campaña de 40 días en la Guerra de Malvinas, realizando dos ataques sobre la flota británica pero sin poder apreciar efectos reales. 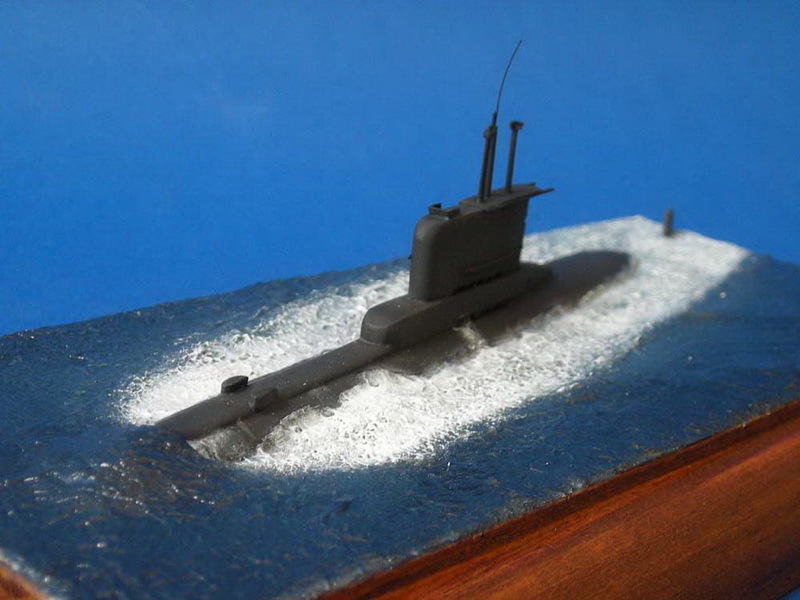 Culminada la misión, el submarino retornó sin daños a su base. 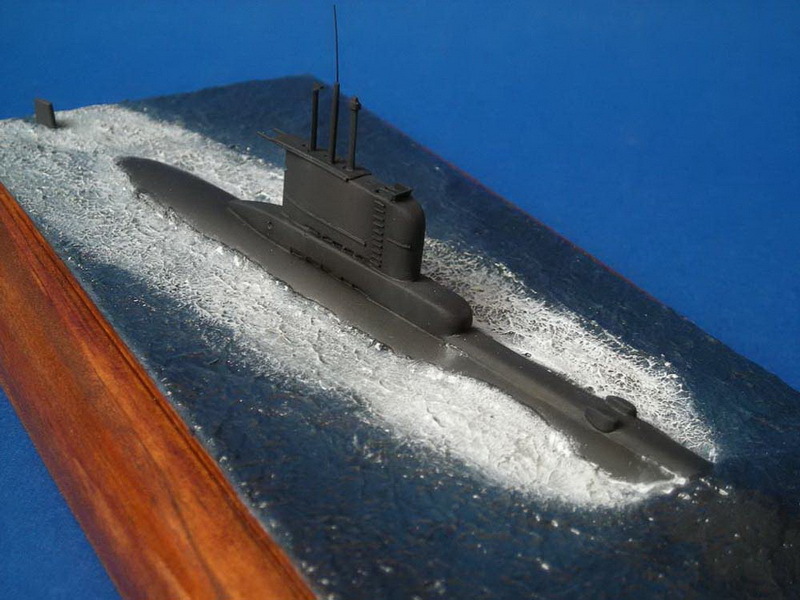 El modelo está hecho completamente en scratch, con plástico de alto impacto de diferentes grosores y pintado con esmaltes Humbrol. 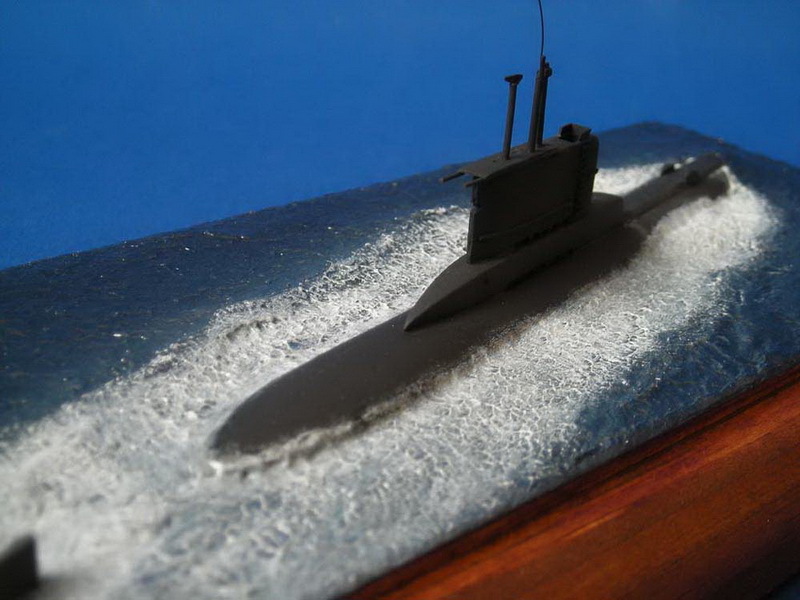 ARA San Luis, a 209 class submarine of the Argentine Navy, ran a campaign of 40 days in the Malvinas war in 1982, carrying out two attacks on the British fleet without being able to appreciate the real effects. 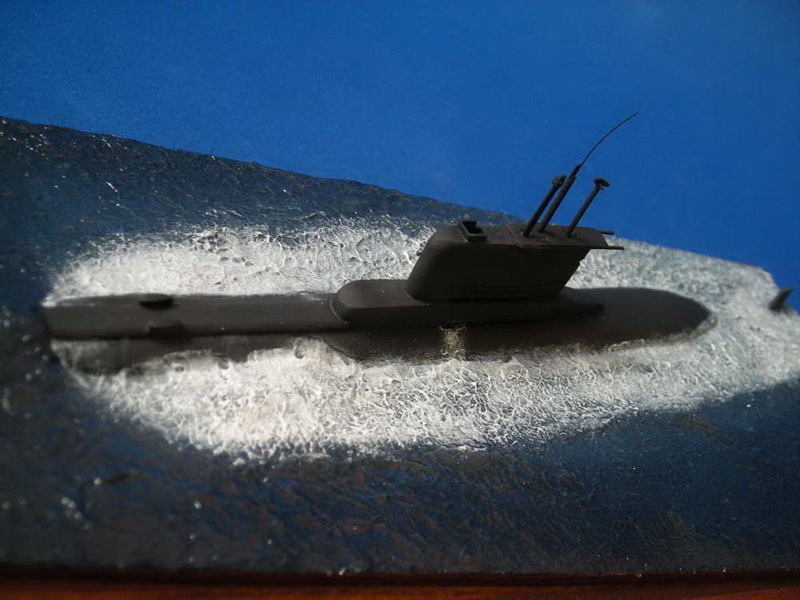 Finished the campaign, the submarine returned without any battle damages to its base. 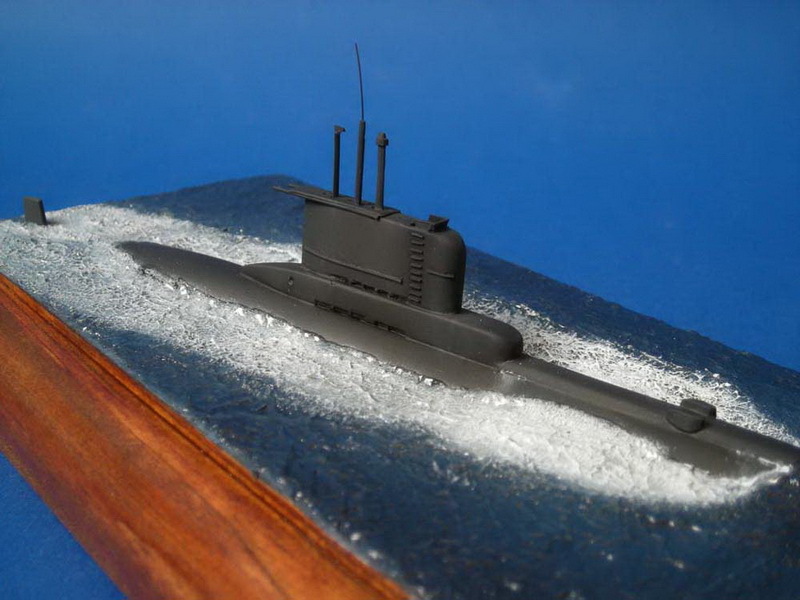 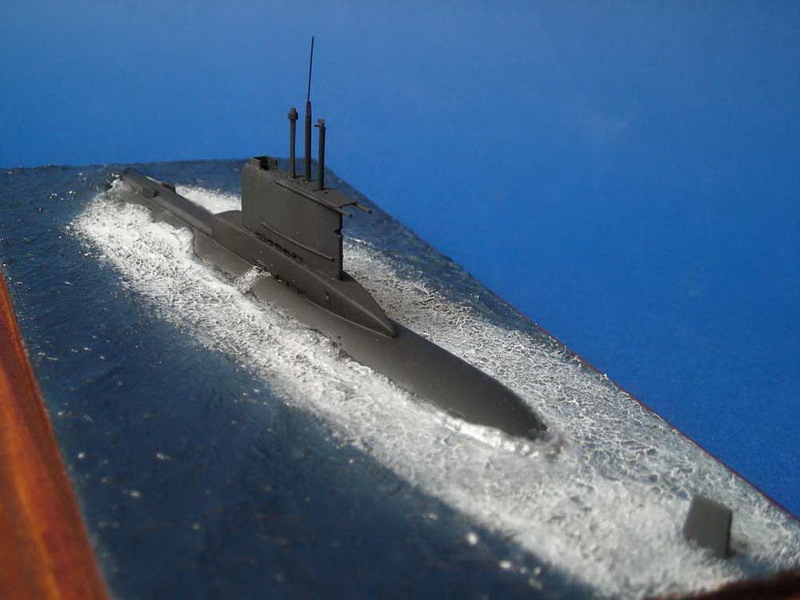 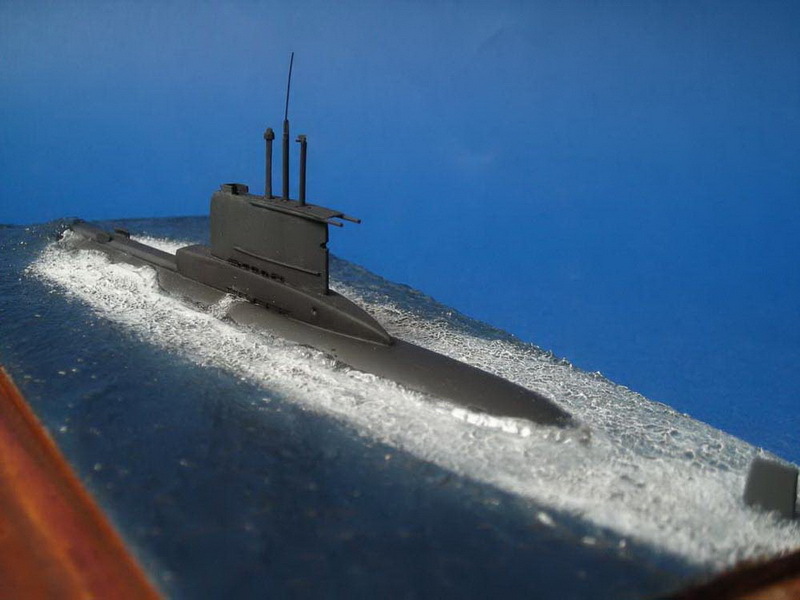 The model is completely scratch build with styrene sheets of different thickness and was painted with Humbrol enamels.